For South Africa’s biggest mobile network, we create a range of products across platforms. Our clients include divisions throughout the Group, from digital marketing and Vodacom Business, to Vodafone Global Enterprise in Africa and the Middle East. Our content reaches both internal and external audiences. 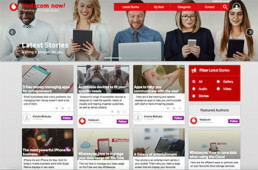 We produce Vodacom now!, the official Vodacom blog, which connects customers to the latest news, deals and reviews of trending tech. We create written, visual and video content for over two million users per year. 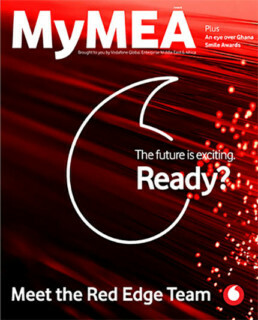 Case studies help Vodacom’s Business Unit demonstrate their successes to potential customers. We produce written and video case studies, as well as videos, articles and catalogues demonstrating Vodacom Business’s solutions. We also produce an internal digital magazine for Vodacom’s Business Unit, with essential information from sales tools to wellness advice.